Licensed Psychologists provide psychological testing, evaluation, psychotherapy, counseling, and consultation to clients or inmates in residential, inpatient and outpatient settings, at a mental health, intellectual disabilities, or correctional facility, or in other settings where psychological services are provided. Incumbents possess a degree of knowledge and proficiency sufficient to perform advanced-level work and may provide work direction and training to others. Lake's Crossing Center (LCC), a maximum security forensic/psychiatric hospital in Sparks is recruiting for a Licensed Psychologist 1 vacancy. The agency provides forensic mental health services to mentally disordered offenders referred by the court system for evaluation of their competency to stand trial and/or treated to restore competency. The position provides both direct and indirect client services. Duties include: psychological testing and evaluation, psychotherapy, counseling, and consultation, treatment planning and coordination of clients or inmates in residential, inpatient, outpatient and/or community settings. 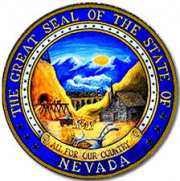 Professional duties are performed in accordance with license requirements of the State of Nevada Board of Psychological Examiners. This full-time position works Monday through Friday, 8am to 5pm. However, hours may vary and include evenings and weekends depending on the needs of the agency. The work environment requires a high level of security, awareness as well as the physical stamina or ability to deal with maladaptive and aggressive clients.